John Vidal is absolutely correct in identifying the multiple benefits of agro-forestry (A eureka moment - we're finally planting trees again, 13 February) but these benefits need to also be unleashed in the developed world, not only in Africa, Asia and South America. Currently 9% of EU agricultural land is given over to agro-forestry, meaning it is not merely a fringe activity. The UK's largest agro-forestry holding is just to the south of Peterborough, where Steve Briggs farms 125 acres of organic oats with strips of apple trees across; reducing wind erosion of the soil, increasing water retention and improving biodiversity - eg most bird species have increased by 20-50% with barn owls up 400%. Here in the north-east, Simon and Claire Bainbridge, who farm near Wallington, Northumberland, have recently planted trees scattered over several fields to provide cover from birds of prey to encourage their 12,000 chickens to wander further from their hen house as they produce organic free-range eggs for a major supermarket. Brexit and departure from the EU's common agricultural policy means Defra could fund a major expansion of agro-forestry across the UK. 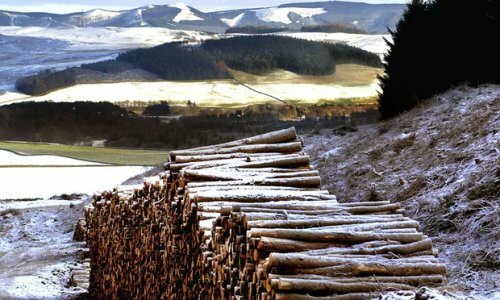 Whether on farms or in forests, our country needs more trees, not least because wood is a raw material that can be used by the emerging bioeconomy. The bioeconomy seeks to replace fossil fuels, the primary cause of climate change, with renewable and sustainably sourced products. We can now make from wood most of the items we have traditionally made from oil. It is a huge opportunity for the country, and with the government's strategy for the bioeconomy about to published, it's one we must seize. It is a pity John Vidal didn't check his facts before joining the very vocal minority in attacking Sheffield on its tree policy. I have been an elected member of the Sheffield city council for over 45 years and I cannot remember a time when we were not planting trees. This is why there are now over 4m within our boundaries. Indeed, I remember being ridiculed by Tory councillors for "wasting money" planting trees in the industrial east end of Sheffield in the 70s. What the city is currently doing as part of a massive highway rebuilding programme is replacing - yes, replacing - 6,000 of its 36,000 highway trees and adding a further 600. Many because they're diseased, dying or damaging pavements, drains and structures. The work is almost complete and, when finished, Sheffield will still be the greenest city in the country, only even more so.